Orange, white reverse, light purple highlights. None to mild fragrance. 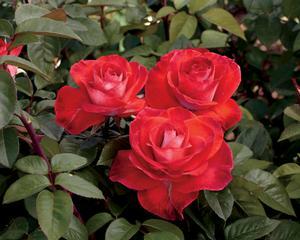 Medium to large, double (17-25 petals), borne mostly solitary bloom form. Introduced in United States by Weeks Wholesale Rose Grower, Inc. in 2015.